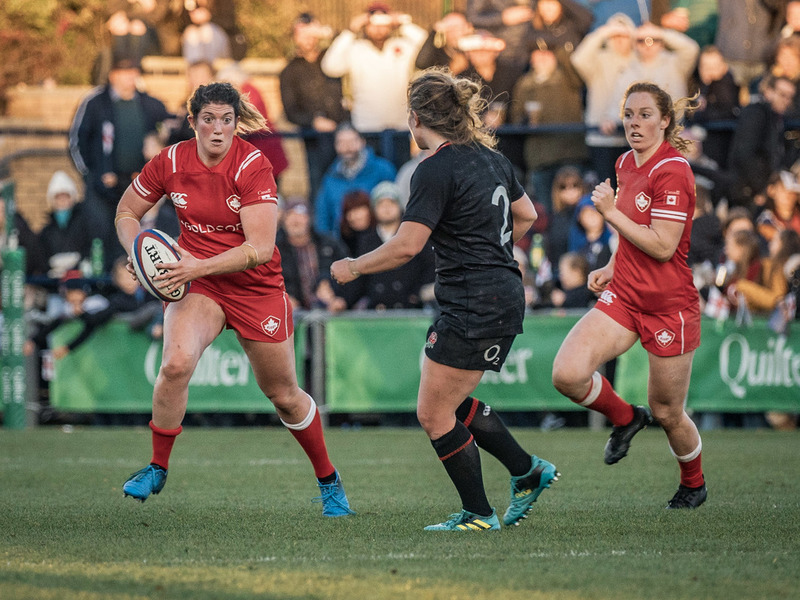 After Scotland opened the scoring, Canada’s forward pressure was too much to defend and Olivia DeMerchant powered through for the try. Another push by the forwards set up Canada deep inside Scotland’s end. Tausani Levale came speeding in off the inside pass and dotted down for her first ever international try. Brianna Miller made both conversions for Canada. Scotland added on two tries of their own in the half, putting them in the lead 15-14 at the break. Canada started off the second with a quick try scored by Tyson Beukeboom. Scotland answered right back with one of their own that Canada's defense couldn’t hold up. Janna Slevinsky smashed over the line off a pick-and-go to score another one for Canada and her first of the tour with Irene Patrinos making her second conversion of the match. A penalty late in the match gave Scotland the opportunity to tie the game, but a bumbled kick handed Canada the victory, 28-25. Canada finished their UK tour with a 3-1 record, defeating England ‘A’, Wales, and Scotland, after falling to England in their opening match.